You know, the OE CV axles typically won't fail.... and that's because the driveshaft goes first. Once the driveshaft is upgraded, the CV's become the next weak link and typically break at the axles' transition on the shaft. A broken CV axle can cause thousands of dollars in damage before getting the car stopped. 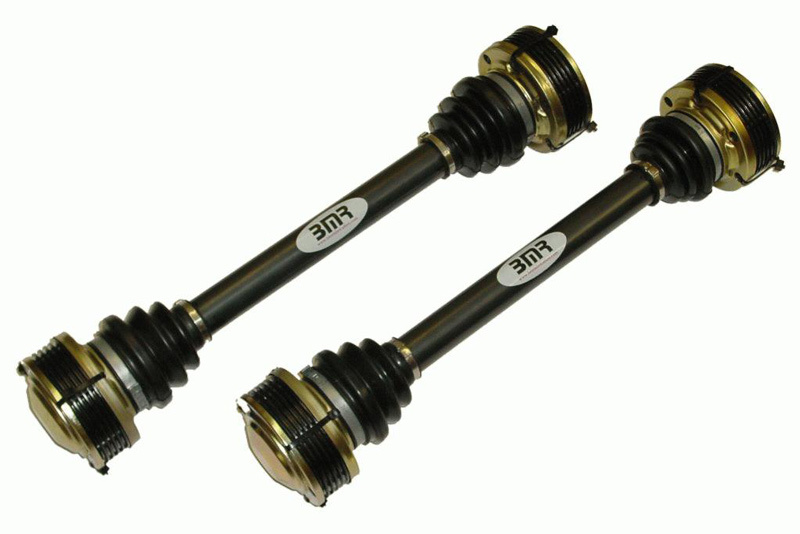 Don't risk it, BMR's heavy duty CV axles use custom billet CV joints and 300M axle material. The axle itself is 1-3/8" diameter compared to the OE 1-1/16" and is capable of handling 800+ RWHP. NOTE: REQUIRES THE OUTER GREASE COVER FROM THE FACTORY AXLE. Interested in ordering a BMR Suspension Upgrade for your Pontiac? Call ModBargains at 714-582-3330 to make an order today!